The Highland Community Foundation participated in Highland’s annual Festival of the Trail, held in Downtown Highland. This year’s festival featured local artists, photographers and authors from Northwest Indiana. HCF Board members were on hand to hand out brochures for both the Foundation and the proposed Highland Arts Council, which will officially launch in the coming months. Funding for the brochures was made in full by an Event Sponsorship Grant from Legacy Foundation. 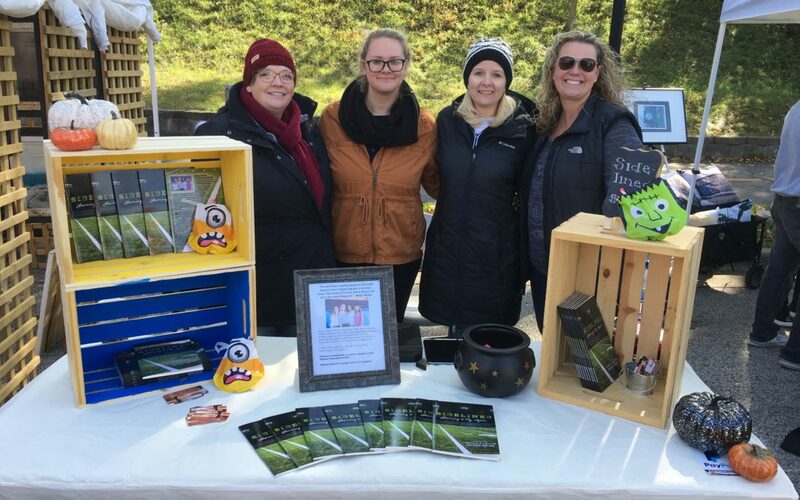 Among the other participants was Krystle Fuller, co-author of the book, Sidelined, who received the first “Highland Has Art” grant to fund the printing of the book.